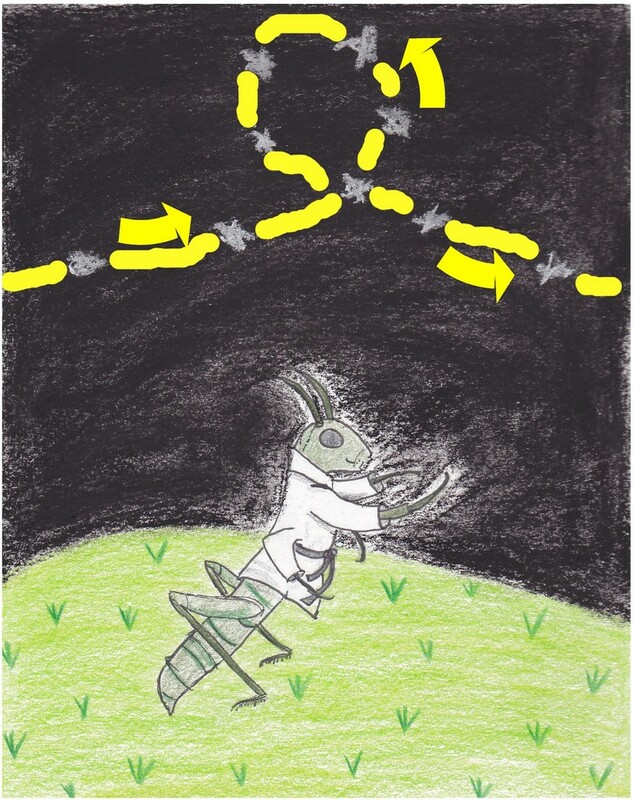 The idea for this week is about a Grasshopper who dreams of going to the stars. To get there he must contort his body to match the star formations that appear in the sky. iPhone, Nintendo DS or touch screen compatible device. I was speaking to some children who really want to see more games that make use of touch screens. This game also uses a quirky tale that would appeal to children. The main screen shows the grasshopper at the bottom and some stars at the top of the screen. Initially, a single formation will be shown at one time. The player must draw the line shown to match the formation within a time limit. There will only be a fixed number of different star shapes possible, for example a circle, square, 5-pointed star, curved (as shown in the image on this page). As the game progresses, multiple formations are shown at once and the formations become more difficult to distinguish. Once a player has drawn a line to match a formation, those stars disappear from the sky. New stars in new formations will appear and play continues. The grasshopper character will look amusing as it tries to contort itself into the positions. The difficulty level of the game will increase so that players will want to play again to finish more of the game.